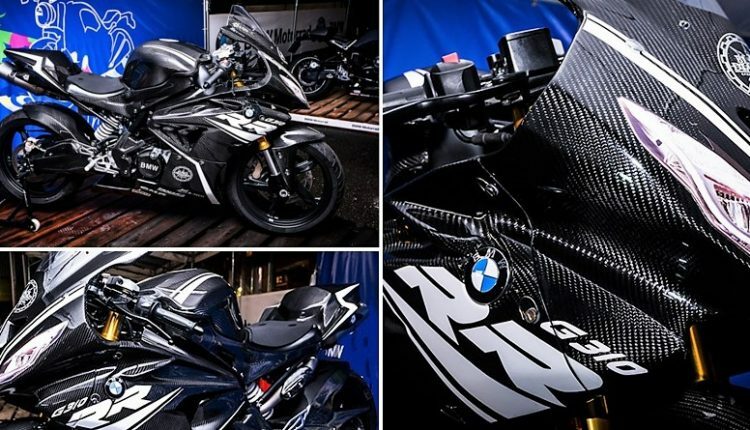 BMW G310RR was recently seen through a couple of images from Japan. Every motorcycle fan around the globe knew that this would happen one day as the German manufacturer currently retails three body styles for every engine and frame combination in its international lineup. 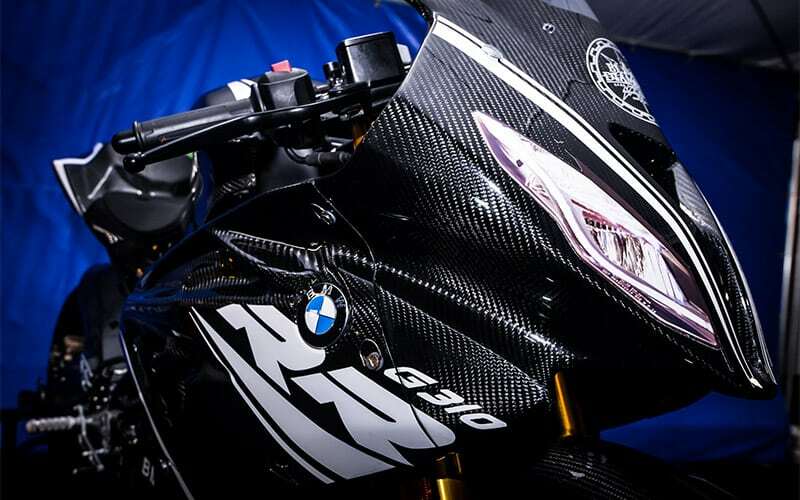 The G310RR sportbike is expected to get an official debut at INTERMOT 2018 or EICMA 2018, most probably getting placed between both the currently available bikes in India. The adventure variant uses the most equipment of all and thus, getting placed on top of the roadster and full-faired sportbike. 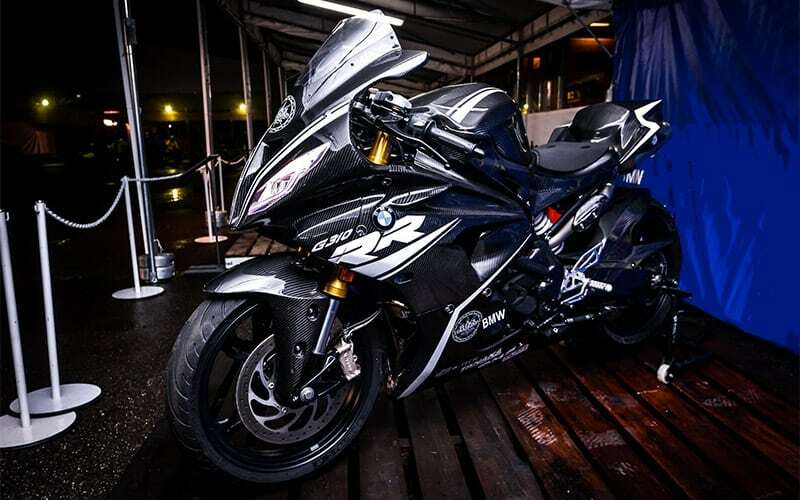 BMW G310RR will rival Kawasaki Ninja 300, Yamaha YZF-R3 and KTM RC390 in India. The upcoming motorcycle is based on the same frame as all three existing products, including the TVS Apache RR310. 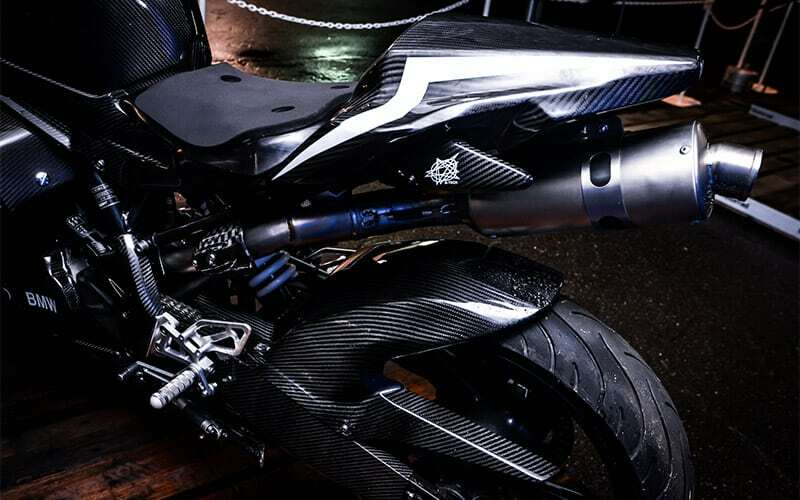 The version seen here is loaded with carbon fiber parts, taking viewers on a journey into the past when TVS Akula was seen with carbon fiber before its official launch. One amazing feature seen here is the under-seat exhaust system, looking perfectly placed, but, not so fancy for the production version. Being a single cylinder bike, the muffler may not look as perfect as seen on bikes with dual units. Also, concepts have the freedom to show anything but, production mules prefer practicality over other features. 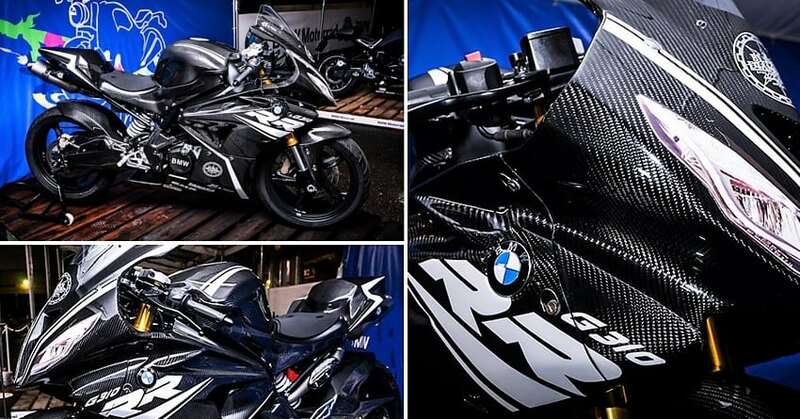 The front fairing is based on typical sportbike design, highly inspired from their own liter class products and getting a bigger than usual visor for wind protection. The seat is flat, and rear gets a lightweight carbon fiber cowl. The components used here are mostly shared with G310R, and thus, one can expect a slight increase in price for the production version. The addition includes clip-on bars, dual headlight, and side fairing. 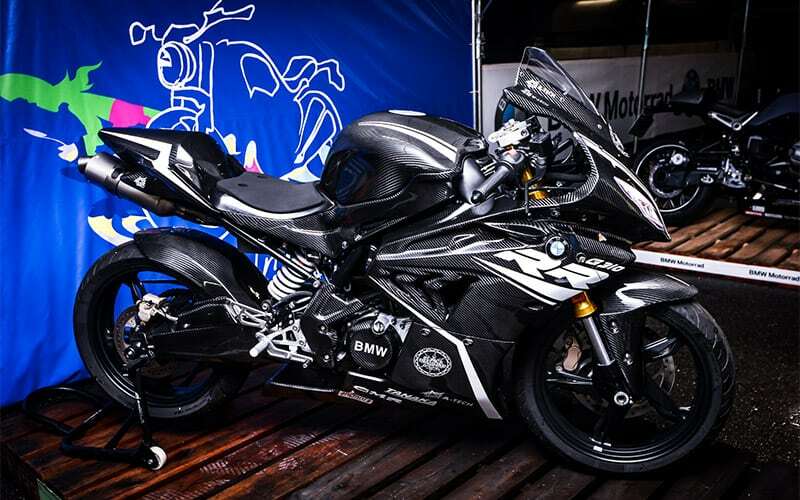 BMW G310RR will be powered by a 312cc, single-cylinder engine, producing 34 hp of power and 28 Nm of torque. The engine will use a 6-speed gearbox. The upcoming full-faired sport bike is expected to be priced around INR 3.30 lakh (ex-showroom). In this bike Dual front disc break should be there.